Can you lose weight by jumping rope? If you do ropes or jumping ropes properly,you can burn about 200 calories in 20 minutes,the results can be even better,but it depends on your practice,stamina and most important part is diet.There are many people who want to lose weight but due to lack of time the gym can not join,jump rope workout is a great option for those people,anyone can comfortably do it in the house.This will reduce your weight and boost physical competence. Jumping rope is a great aerobic exercise.This creates whole body exercises.It reduces weight and helps to tone the arm and calf muscles.Jump the rope regularly,the bones are strong and concentration and stemina also grow.Not only this,it also helps to keep our heart healthy. 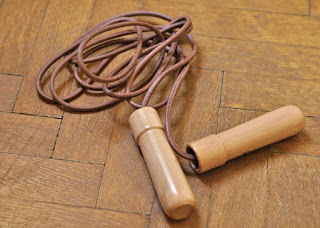 Skipping increases coordination between eyes,hands and feet.It is helpful to strengthen legs,knees,ankles and also good for metabolism.For those who want to increase their height,the jumping rope will be very good,especially for teenagers.Rope jumping also reduces the risk of osteoporosis. According to research conducted by the UK's Osteoporosis Society,regular skipping reduces the rate of bone decay with age,thereby reducing the risk of getting a disease like osteoporosis. This is a short duration exercise that means it should be done for a maximum of 20 to 30 minutes depends on your practice and stamina.Due to continuous skipping,you may get excessive pressure on your lower body,increasing the risk of knee injury.If you are skipping the rope for the first time,it may take some time for you to learn,so initially make 50 to 100 repetitions and then gradually increase the time.